IsaacAI helps you measure your site's performance, fix issues, improve SEO, and increase online visibility. It works by continuously monitoring your website and analyzing pages for issues or ways to improvement. 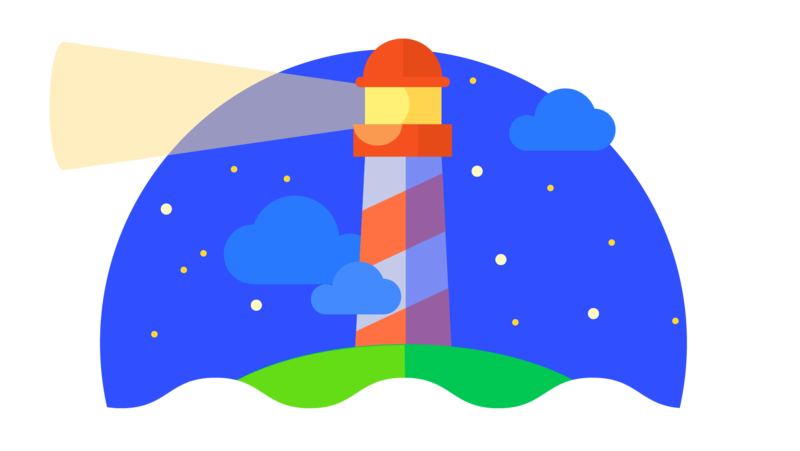 Built on top of Google Lighthouse, a powerful, open source tool for auditing web pages, you can audit your websites across performance, accessibility, progressive web apps, best practices, and SEO. In addition to basic audits provided by Google Lighthouse, IsaacAI provides our own custom audits that are more advanced and thorough. As IsaacAI helps identify issues to fix on your website, you can track progress over period of time. Our visualization tool helps you visualize how your website is improving as you make updates and fixes. Fixing all the issues by yourself can be daunting. With IsaacAI, you can create teams and invite others to collaborate together. 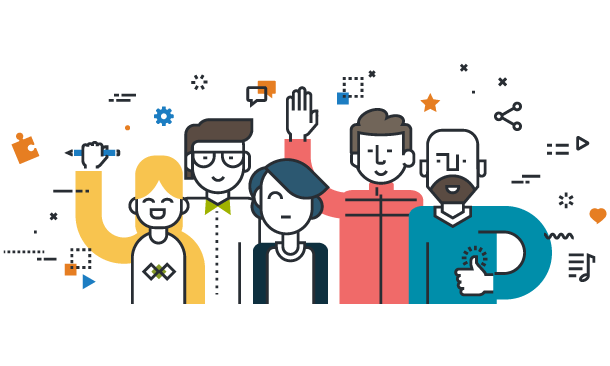 Invite your developer, marketing team, web designer, and SEO expert to collaborate and resolve issues together. Audit areas include performance, accessibility, progressive web app, best pratices, and SEO. You can audit and track multiple websites. Quickly find out the health of all websites from single dashboard. 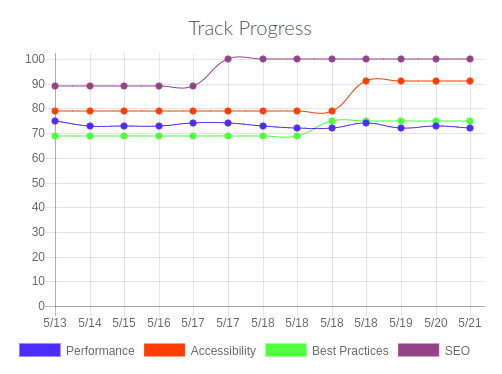 Easily track progress over period of time as you make improvements to your websites. You can create and manage multiple teams - ideal for large teams or marketing agencies with clients. Get notified via email when audits detect any failures considered severe and must be looked into immediately. We are working on adding more audit categories including security and content audits. IsaacAI is built on Google Lighthouse and below are default audits provided by Lighthouse. We are working on adding more audits including security, advanced SEO, and content audits. First Meaningful Paint - this audit identifies the time at which the user feels that the primary content of the page is visible. Has Enormouse Network Payloads - measures how large the payload is - you can score 100/100 if your web page payload is 1600KB or lower. Server Response Time - measures how long it takes for the website to respond to a request. Valid aria-*attribute values - Invalid ARIA attribute values may be preventing the screen reader from properly understanding the current state of a widget. This could make the page unusable to users who rely on screen readers. Has the required aria-* attributes - The role attribute helps screen readers understand the purpose of an ARIA widget. A role may have a set of required, additional attributes that describe the state of the widget to the screen reader. Image has alt attribute - checks to see if every image has alt attribute set. tabindex attribute set to 0 - The tabindex attribute makes elements keyboard navigable. Positive values indicate an explicit navigation ordering of elements. Although this is valid, in practice it is extremely hard to do correctly and creates unusable experiences for users who rely on assistive technologies. Avoids document.write() - For users on slow connections, such as 2G, 3G, or slow Wi-Fi, external scripts dynamically injected via document.write() can delay the display of main page content by tens of seconds. Avoids mutation events - checks to see if deprecated mutation events are present. Avoids Requesting The Geolocation Permission - Users are mistrustful of or confused by pages that automatically request their location on page load. Rather than automatically requesting a user's location on page load, tie the request to a user's gesture, such as a tapping a "Find Stores Near Me" button. Make sure that the gesture clearly and explicitly expresses the need for the user's location. Avoids Requesting The Notification Permission - As explained in What Makes a Good Notification, good notifications are timely, relevant, and precise. If your page asks for permission to send notifications on page load, those notifications may not be relevant to your users or precise to their needs. A better user experience is to offer to send users a specific type of notification, and to present the permissions request after they opt-in. Allow pasting paswords - Password pasting improves security because it enables users to use password managers. Password managers typically generate strong passwords for users, store them securely, and then automatically paste them into password fields whenever users need to log in. Uses HTTPS - checks to see if the page can be loaded on HTTPS. Uses HTTPS/2 for resources - checks to see if the resources on the page are loaded using the HTTP/2 protocol. Uses Passive Event Listener - Setting the passive option on your touch and wheel event listeners can improve scrolling performance. Viewport Meta Tag With width Or initial-scale - Without a viewport meta tag, mobile devices render pages at typical desktop screen widths, and then scale the pages to fit the mobile screens. Setting the viewport enables you to control the width and scaling of the viewport. Manifest Contains Icons at Least 192px - When a user adds your app to the homescreen, the mobile device needs an icon to display. That icon is specified in the icons array of the Web App Manifest. Manifest Contains name - The name property of the Web App Manifest is a human-readable name of your application as it is intended to be displayed to the user's mobile device. Manifest Contains short_name - After a user adds your app to the homescreen, the short_name is the text that is displayed on the homescreen next to your app icon. In general, it is used wherever there is insufficient space to display the full name of your app. Redirects HTTP Traffic To HTTPS - checks to see if the site is using HTTPS and, if not, if the HTTP automatically redirects to HTTPS. Registers A Service Worker - Registering a service worker is the first step towards enabling progressive web app features including offline support, push notifications, add to homescreen. Prompted To Install The Web App - The prompt to install a web app lets users add your app to their homescreen. Users that add apps to homescreens engage those apps more. Page returns correct HTTP status code - checks to see if the page returns 2xx or 3xx HTTP status code. We understand that the default SEO audits provided by Lighthouse are fairly basic. We are working on adding more advanced SEO audits that will you more about how you can improve your SEO. Q: How does IsaacAI work? Answer: IsaacAI runs audits and monitors your web pages to find major issues or areas of improvement. Once you create an account and add your website, IsaacAI automatically starts crawling your website and begin the audit process. 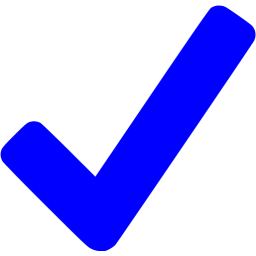 Then as audits are run and areas of improvement are found, they will be added to your issues page and you will be notified via email. Currently, IsaacAI has over 120 audits in the database and we are continously working on adding new audits. Q: Who should use IsaacAI? Answer: IsaacAI is built for those who manage websites and want to improve user experience, search engine optimization, and stay informed on any other major page issues such as 404 page not found error or 500 server errors. Q: What is difference between Basic and Premium Plans? The major difference is that you get a Digital Marketing Specialist assigned to your website with the Premium Plan. 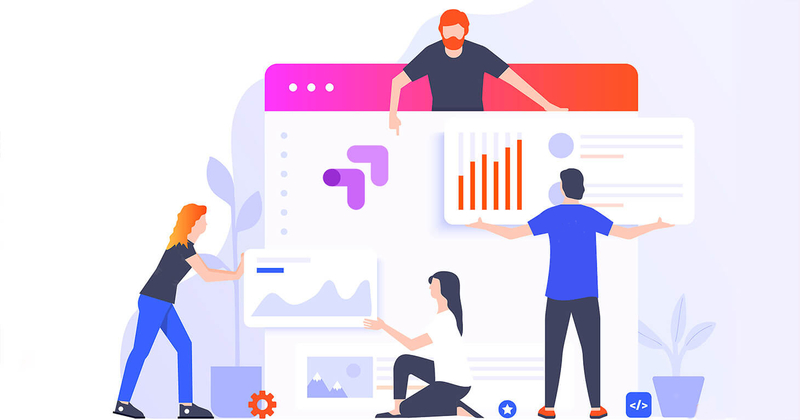 So in addition to automated audits running on your website, the Digital Marketing Specialist assigned to your website will recommend additional areas to improve your website. You can also interact with the Specialist, ask questions, and seek step-by-step guide to resolve any issues. Q: What is included or not included in the Premium Plan? With the Premium Plan, Digital Marketing Specialist will provide suggestions and recommendations and answer any questions you have but will not physically make any changes to your website. If you need additional services on top of what's included in the Premium Plan, you can reach out to an SEO agency. Q. Is there long-term commitment? No. IsaacAI does not require any long-term committment. If you feel that you no longer need the service, you can cancel your plan any time. Q. I have other questions - who can I contact? You can send us e-mail at support@isaacai.com. IsaacAI is a service of LNI Digital Marketing, a digital marketing and web development agency in Northern Virginia. Check out this page to read a blog article about IsaacAI website auditing tool. We are a group of developers with a passion in building great websites. Any comments or questions? Please feel free to contact us. © 2019 IsaacAI. All rights reserved.